Yes, it's that time of year, when thoughts turn to presents and your to-do list no longer fits on a sticky note. Never fear, books are here! Be the holiday hero and buy gifts at your local independent bookstore, where there's a title for everyone, passionate booksellers ready to assist and no one will judge you if the final receipt includes a few things for yourself. We've got 15 titles reviewed below to get you started. But first, three that beg a bit of extra attention. 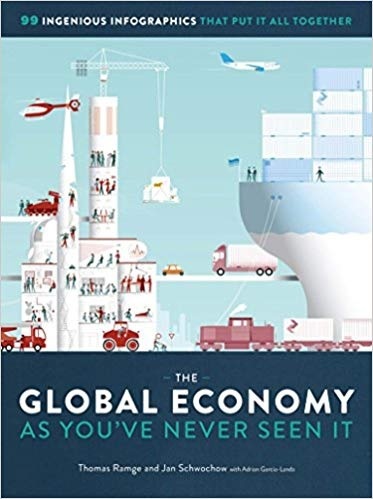 The Global Economy as You've Never Seen It: 99 Ingenious Infographics That Put It All Together (The Experiment, $35) is gloriously big, both in format and scope. Fit for coffee-table display, it's so much more, breaking down the national and global economy with clever, colorful and illuminating infographics--something we all could use in today's world of vague headlines and often contradictory economic news. 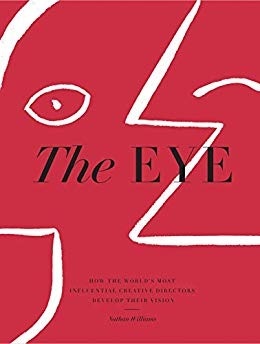 Author Nathan Williams shines the spotlight on those who often work behind the scenes in The Eye: How the World's Most Influential Creative Directors Develop Their Vision (Artisan, $45). Asking "what defines a creative director? Who are these trailblazers and dilettantes and how do they develop their vision?" the book features more than 90 influencers from worlds of fashion, entertainment and publishing. Black-and-white photographs accompany the prose, making for insightful and visually stunning portraits that will appeal to creative individuals in search of inspiration and sage advice. 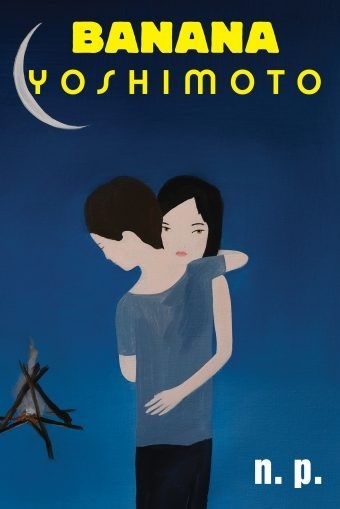 Banana Yoshimoto, pen name of Japanese writer Mahoko Yoshimoto, is one of Japan's most popular authors. Banana was born in 1964 to a literary family. While pursuing a literature degree at Nihon University's Art College, she picked the pseudonym Banana to reflect her love of banana flowers and to remain androgynous. Her debut novel, Kitchen (1988), received widespread acclaim (it has since been printed more than 60 times in Japan alone). It was not published in English until 1993, after which Banana found fast fame in the United States. Her 12 novels and seven essay collections have sold more than six million copies. Discover: This beautiful gallery on paper celebrates the life and works of the popular Belgian cartoonist Hergé. Looking for a gift for an English major? Brushing up to be a Jeopardy! contestant? DK's Writers: Their Lives and Works should help one ace the "Notable Writers Throughout History" category. The reference guide is divided into six chapters, covering authors in chronological order. 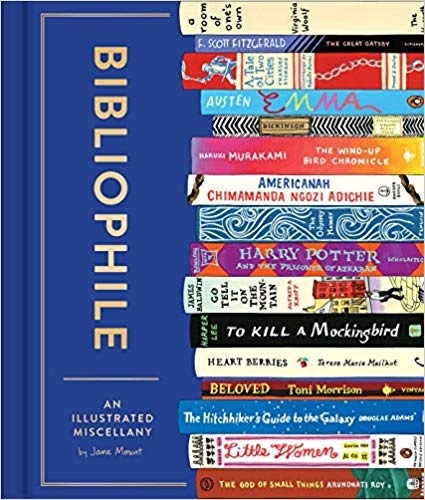 The first chapter is "Pre-19th Century"--Dante Alighieri, William Shakespeare, Voltaire, et al.--and the final one is "Writing Today," featuring Toni Morrison, John Updike and Cormac McCarthy, among others. Discover: This literary reference guide profiles some of the most eminent writers in history. In Underground Worlds, David Farley explores buried places across the globe. "The motivations behind creating subterranean worlds are as diverse as the cultures they come from," writes Farley in the introduction--and indeed, the sites on display here are a reflection of that statement. Discover: An armchair traveler's fascinating guide to subterranean places around the world highlights underground tunnels, caves, museums, restaurants, temples and more. Discover: Alison Nastasi's second collection celebrates the bonds of affection between writers and their cats. Discover: A trivia book pairing fun with facts, The Third QI Book of General Ignorance is a perfect stocking stuffer for those who like to spout the most outrageous information they can find. Discover: Bustle editor Gabrielle Moss takes a funny, educational tour of the paperback series voraciously devoured by teens of the '80s and '90s. Discover: Weird and wild deaths throughout history chronicled and enhanced with provocative art for those who appreciate Fate's oddities. In The Writer's Map: An Atlas of Imaginary Lands, historian Huw Lewis-Jones offers a collection of essays by authors, illustrators and designers as they ruminate on processes of reading, writing and creating, as well as the link between map and story. They consider maps in two and three dimensions, sketches, stories and outlines that live only in the writer's mind, and argue that creating maps, like creating stories, is essentially an act of compression, a set of choices about what to leave out. Discover: This delightful, engrossing exploration is for every reader who's ever admired a book or a map, let alone both. Discover: A marvelous, richly illustrated historical overview of Windsor Castle and the kings and queens of the House of Windsor. Art, verse and nature are combined with entertaining elegance in The Lost Words. Word collector Robert Macfarlane and illustrator Jackie Morris team up to bridge a gap created by a new Oxford Junior Dictionary edition that drops words such as otter, willow and dandelion to make way for blog, broadband and voice-mail. Discover: A visual and linguistic tribute to words falling from use as technological terms supplant those describing the natural world. Discover: A noted designer who has become an Instagram sensation shares a clever array of paper craft projects that burst with color. Discover: Previously unpublished photos by Andy Warhol reveal the artist as a keen observer of the glamorous life. Discover: An elegant collection of art paired with prose that pays homage to the beauty, grace and spirit of equines. Discover: Nearly 100 artists explore the boundaries of what a book is. Discover: A treasure trove of boldly captivating images encapsulate a decade of work from a groundbreaking photographer and filmmaker.